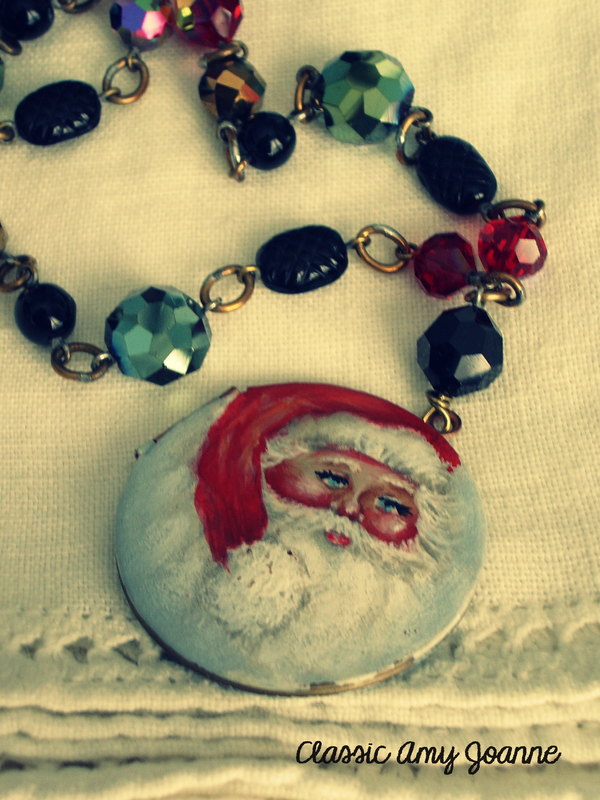 I am fascinated with Hand Made jewelry and the Artisans who create it. I have managed to collect a lot of beautiful pieces thru the years, probably more than one person should. 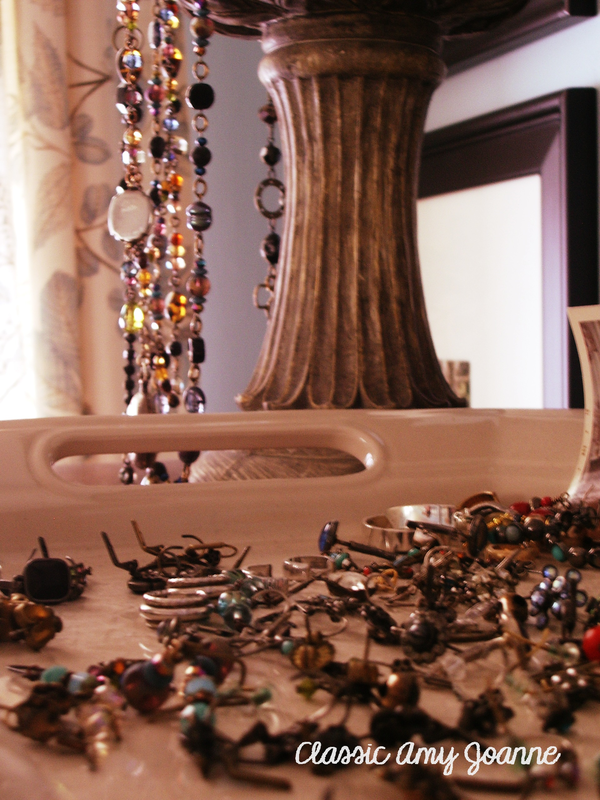 I love piecing together my earrings, pins, necklaces, bracelets, and rings in the morning to coordinate with my outfits. My collections mostly consist of 3 Artisan Jewelers whom I admire and look forward to seeing their new creations from show to show. 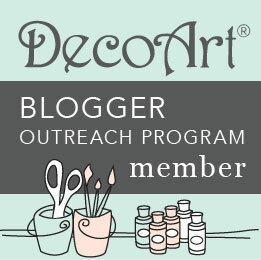 I have asked all 3 to create the jewels behind my decorative art pieces thru the years. 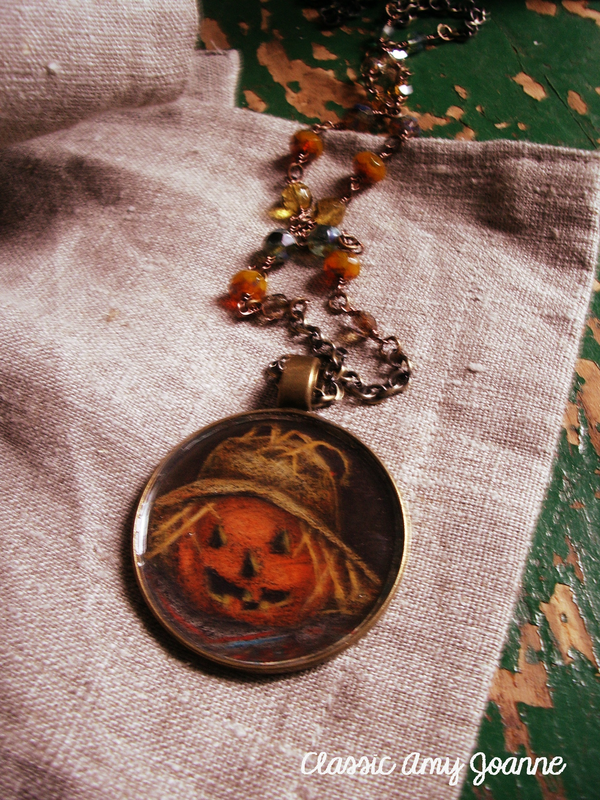 Bobbi of Bobbi Addictive Accessories created these beautiful necklaces for my hand painted brass lockets. 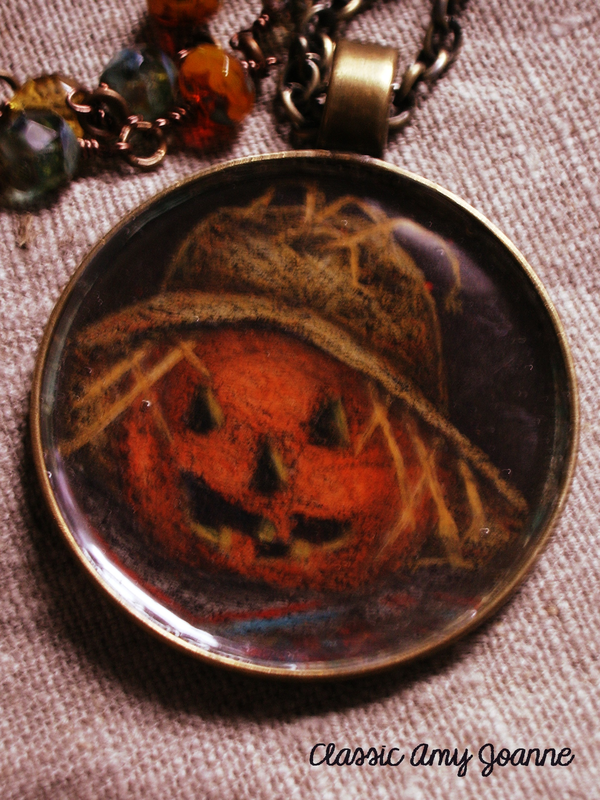 I purchased the brass lockets thru ETSY, sealed and sanded the surface for paint to adhere, painted my favorite designs (Shirley Wilson) and sealed again. I knew Bobbi would complete the creation with the most awesome jewels! Follow Bobbi’s schedule on her site….you don’t want to miss out on her vintage booth displays, amazing! 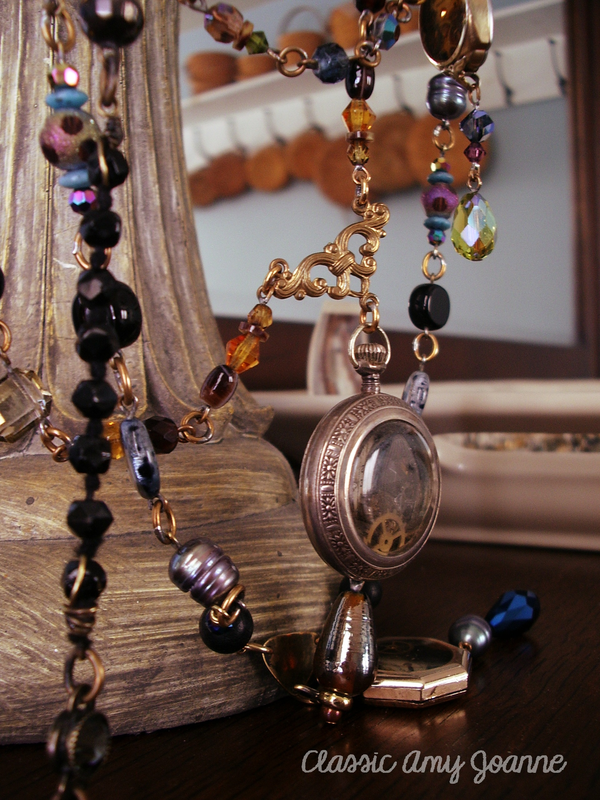 I also admire the jewelry of Nancy Wallis of Wallis Designs. 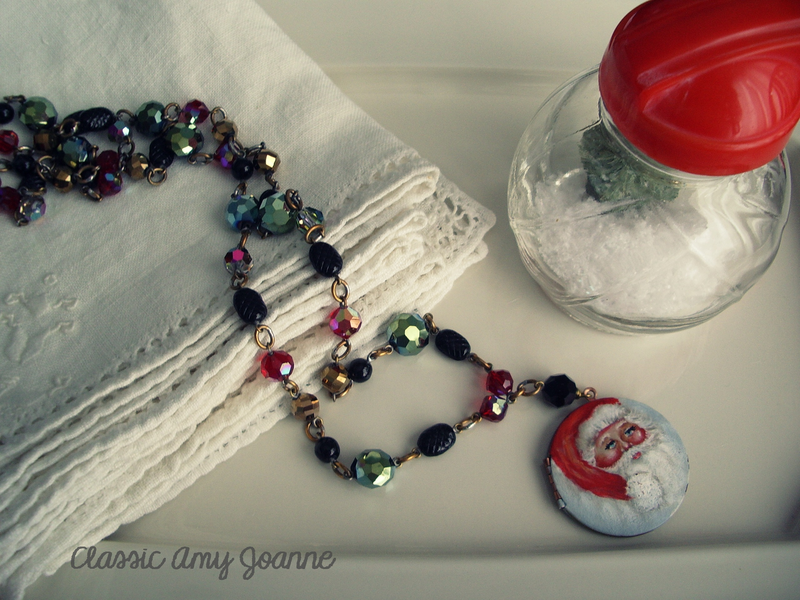 Nancy creates beautiful vintage inspired pieces….stop by her site and see, it’s a must! Nancy is from Canada, and shipping is crazy….but we managed to create 2 pieces together and they are both beautiful! 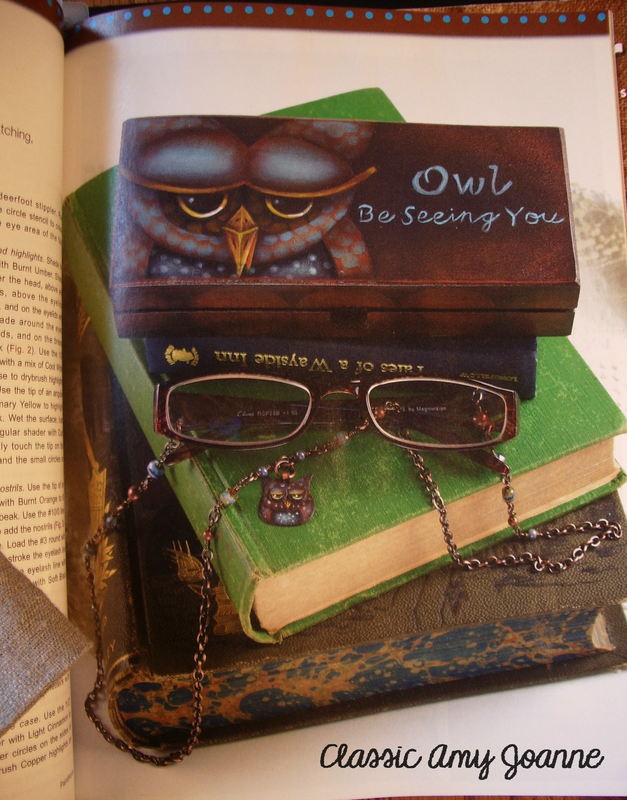 The first piece was published in PaintWorks magazine, Nancy added the chain to my eyeglasses and charm….how cool is that! The next piece was created for a Colored Pencil Pattern (found on pattern page) and Workshops. 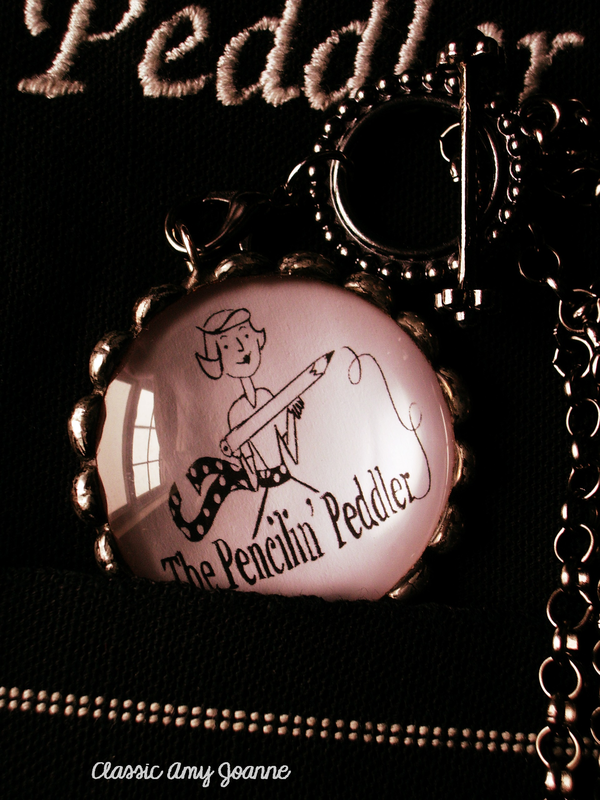 I shipped the pendant to Nancy and she created the necklace for the pendant and a matching pair of earrings! 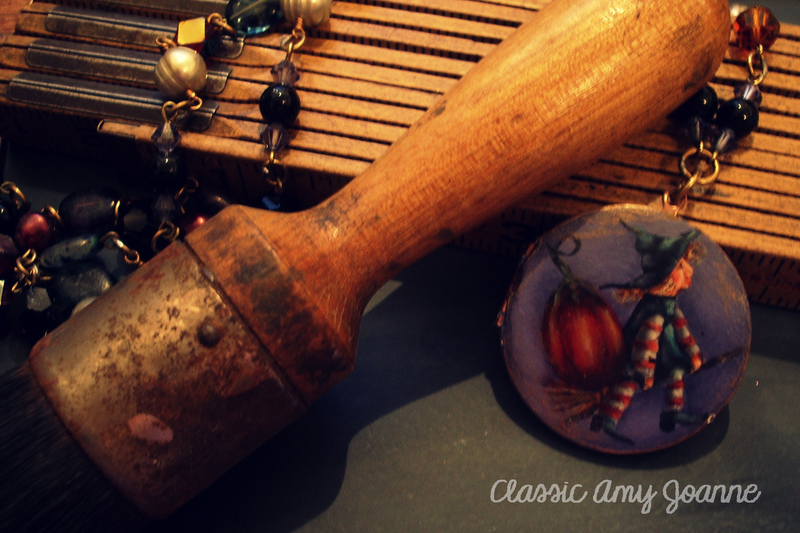 And…… I was thinking (I do a lot of that)….I have this image in my head of how I want the world to see Classic Amy Joanne, whether thru social media, my blog, my patterns, and the Workshops I create. I needed a necklace to finish off my look, you know, white top, black apron and a necklace with my logo……..and I knew whom I wanted to ask, Sarah of Jubilee Jewelry, her solder jewelry fascinates me….I would actually love to learn to solder one day, but for now I will leave this up to Sarah….she posts jewelry on facebook and I am right there watching for the next beautiful piece! 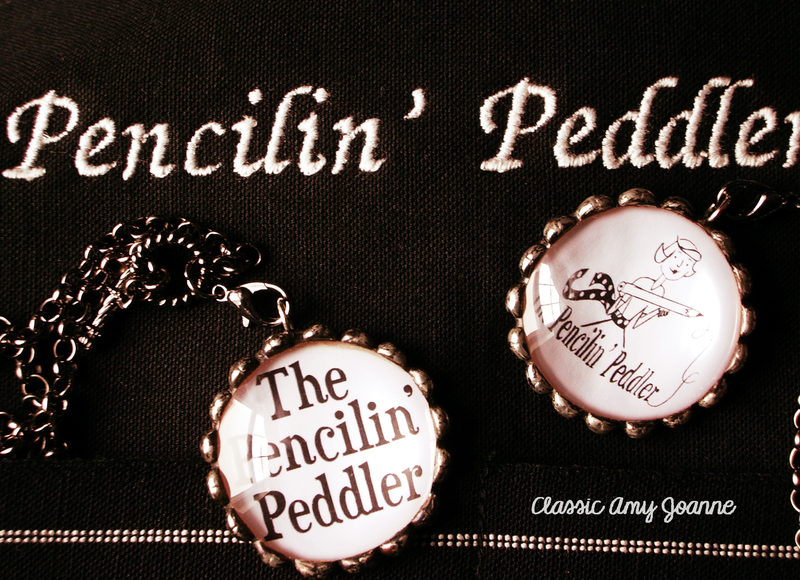 She created these amazing pieces with my Pencilin’ Peddler Logo! I also would like to show you a beautiful, beautiful…did I say beautiful?… piece I purchase from Decorative Artist Kerry Trout. 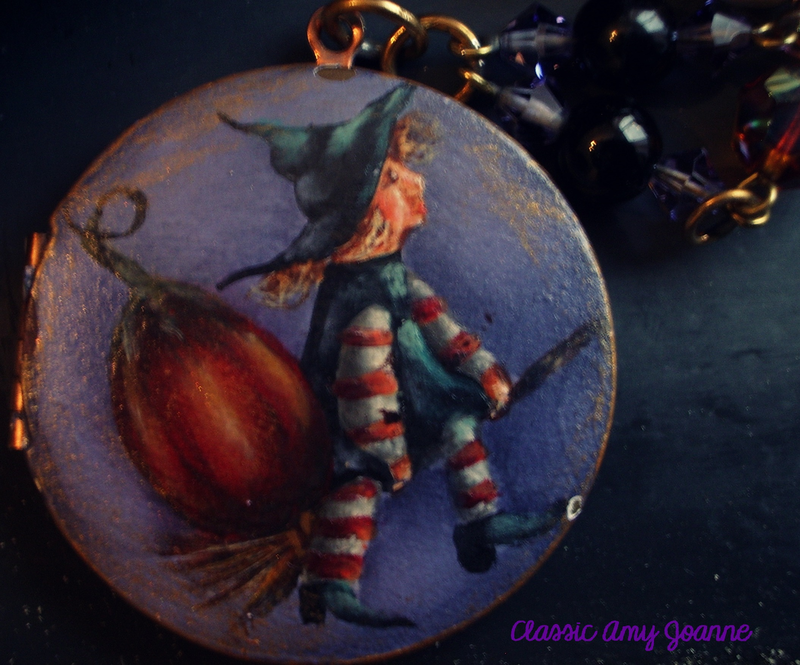 Kerry is an amazing artist, she hand painted the pin and framed it with a vintage hoop earring, I am in love…. Rebecca Baer, Debbie Cole, Willow Wolfe, and Jane Allen ! 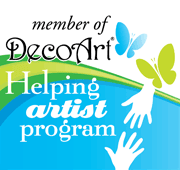 You can find many purposes for Decorative Art….stretch your imagination and use your favorite patterns, create wearable Art! All so pretty, great collaborations ! 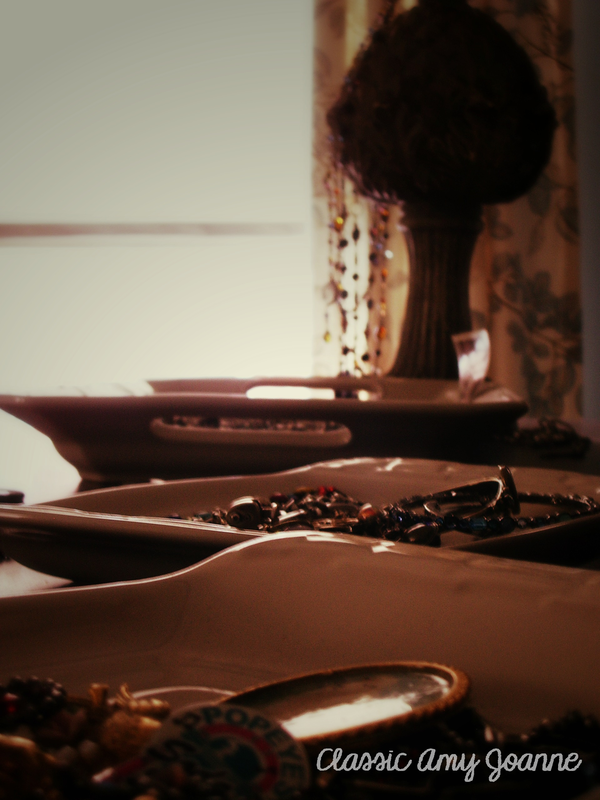 Beautiful jewelry collection! 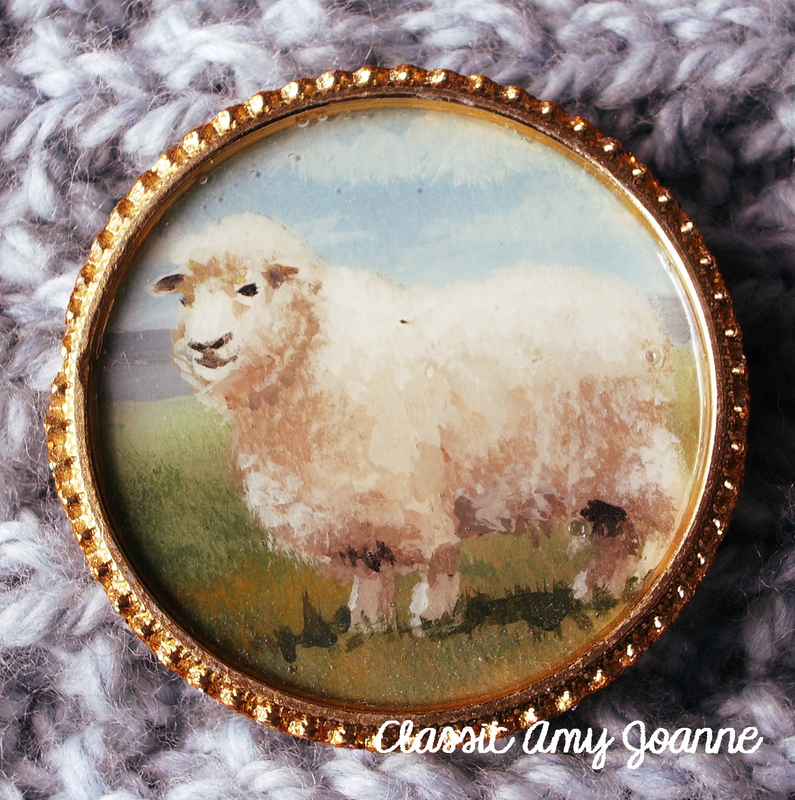 I am the artist of the sheep brooch. Would you kindly credit me? Thank you! What beautiful and unique pieces you have! Amy, it’s always so much fun to work with you. I love how you collaborate with different artists, combining your talent with theirs and resulting in such beautiful pieces. Thanks for including me with all these talented women…Nancy.